3590-333	| Write the first review! The Profile Design RZ2 bottle cage + bottle is an aerodynamic drinking system with composite bracket for mounting at the down tube. 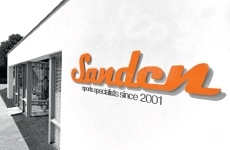 The slim design and the adapted shaping simplifying the positioning at the down tube. The big valve with large opening ensures for easy refill and cleaning. 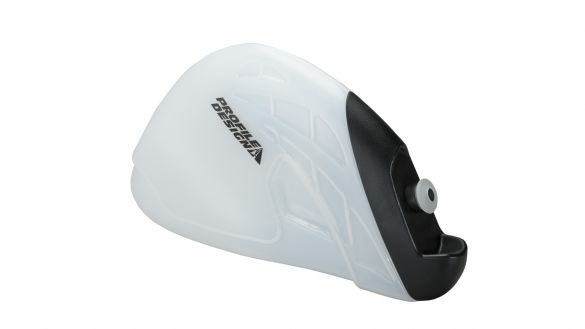 New, frame-mounted bottle increases the aerodynamics of any bike frame. Integrated cap twists off for ease of cleaning. 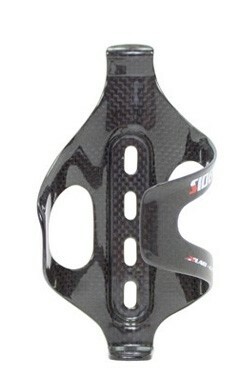 Injection composite cage mounts to any standard bottle cage bosses. - Construction: BPA Free & Foodsafe Bottle and Cap, Injection Composite Cage Mounts to any standard bottle cage bosses. Non-UCI Compliant. 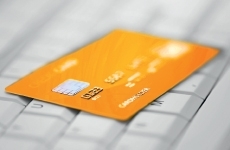 Are you wasting valuable time in the transition area? Top pro and age-group athletes win with PYROs on long, hilly cycling courses as well as on short, flat ones! Riders also report greater comfort using PYRO! 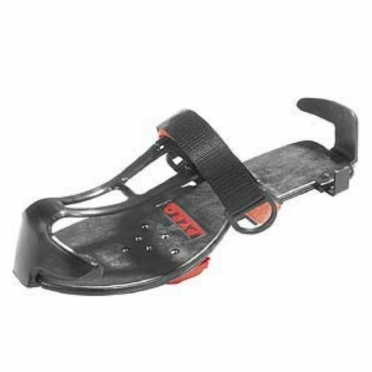 PYRO Platforms turn your running shoes into cycling shoes! - New and improved design. 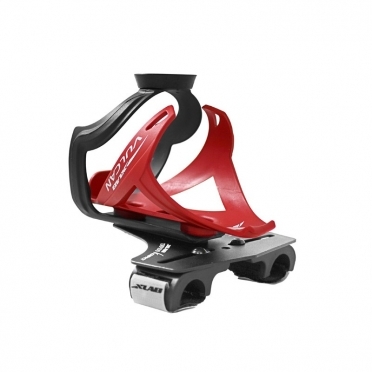 - Some features include: better adjustability, improved motion control, and more sizes! The XLAB Bottlecage torpedo kompact 125 red enables you to keep your hydration in a convenient position, whilst incorporating a Garmin quarter-turn computer mount. Easy-to-install, this system includes everything you need; a mounting plate, Garmin-specific computer mount, cage and bottle. 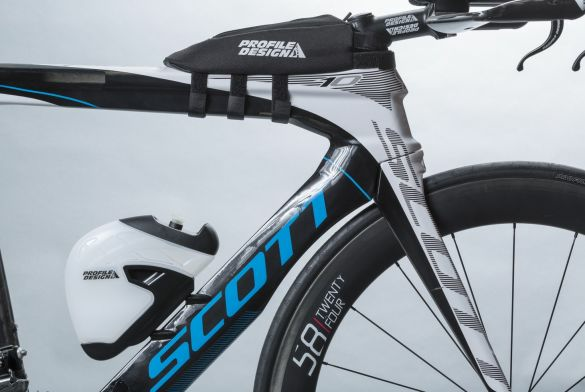 The short, compact design of just 145mm keeps your aerobars clear for multiple hand positions. 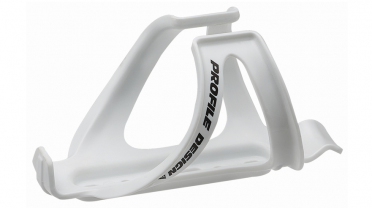 This Profile Design Axis bottle cage white is a lightweight bottle cage from Profile Design. Unique bottle grip prevents bottle launching. Applicable for all road or trail conditions. Weighs just 45g! 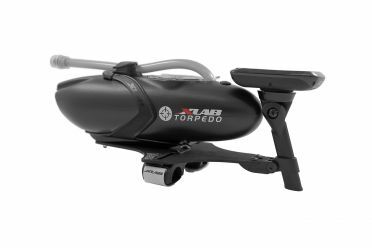 Stay hydrated through your big race with the XLAB Torpedo hydration system versa 200 black. The Torpedo leak-proof 769 ml bottle is designed with a highly aerodynamic shaping and has a clear fluid window that allows you to check how much water you have left. The Torpedo's now legendary high-flow bite valve lets you to quickly and easily drink and the flexible straw allows you to drink from multiple positions. Riding hard, fast, and down to the wire, the XLAB Aero TT bottle black provides the dedicated triathlete or time trialist the ability to ride with improved aerodynamic efficiency thanks to a greatly improved profile. 50% more efficient than round bottles, this carbon cage and bottle come to just 90 grams and assure you of a neat 590ml storage when going after your personal best. 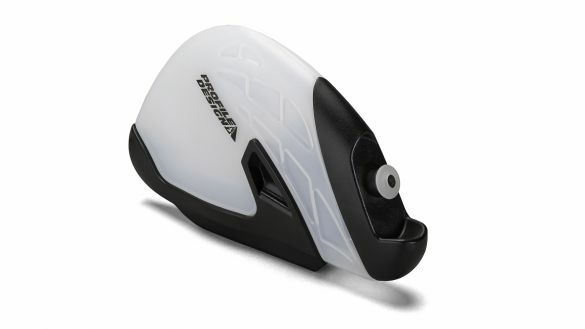 For fastest bottle access and for small frames - the XLAB Sidekick bottle cage left entry black. The low cut sides ensure rapid bottle removal and insertion. 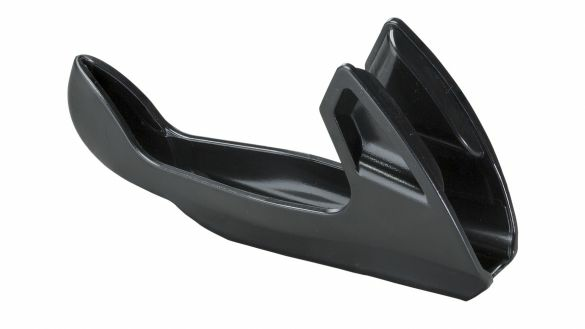 The wide center opening permits sides to flex outwards for easy bottle withdraw. The cage also has a special flared entry lip for fast bottle access and insertion. The long thick lower shelf prevents large heavy bottles falling through cage bottom or breaking off tab. The Sidekick matches XLAB Gorilla rear carrier Anti-Launch cages, and Chimp cages.